Marissa and Shannon Krish at the home that has been in their family for generations. The house and surrounding property is now for sale and their generation will be the last of family to live in the home. On the corner of 100 West and 600 North in Tooele, a white house sits surrounded by trees. To Ruth Stone, the place will always be known as “Grandma’s House.” The house and property contain a treasure trove of memories. 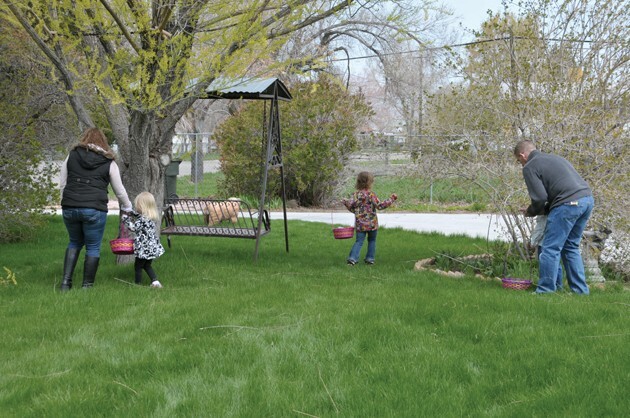 The huge yard has seen many family gatherings. 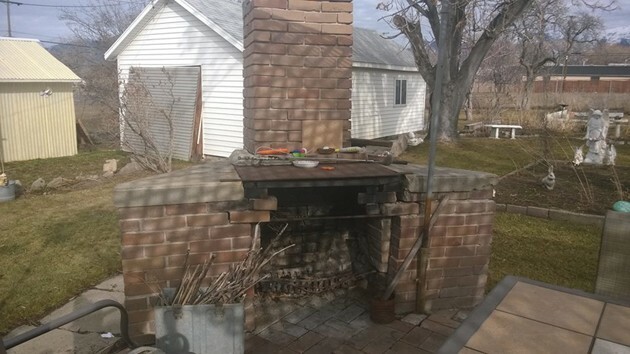 The outdoor brick fireplace has cooked numerous neighborhood and family dinners. And the house has been called home by members of the Hansen family for 92 years. 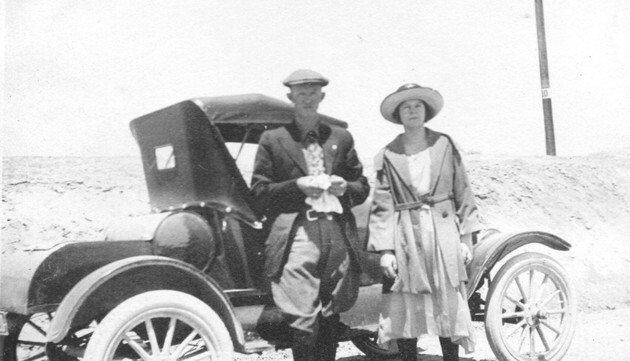 Jay and Vera Hansen, the first in the family line, purchased the house from a Mrs. Anderson in 1927. At the time they bought the house, Jay and Vera were living in Stockton. They moved there after Jay was injured in the coal mine at Hiawatha in Carbon County. 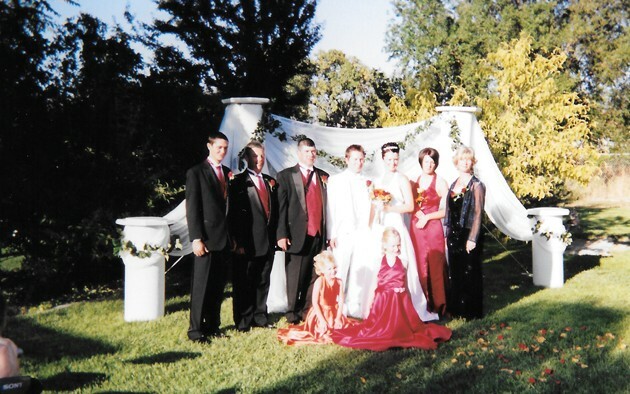 The young couple had been married almost six years and had a young daughter, Barbara, born in Hiawatha. 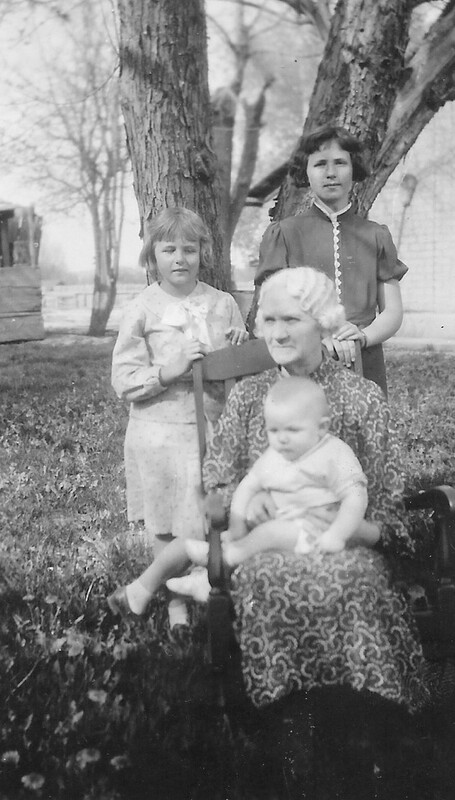 On April 12, 1927, Barbara celebrated her third birthday in the family’s new house. Jay’s mother, Johanna Richey Hansen, also lived with them. 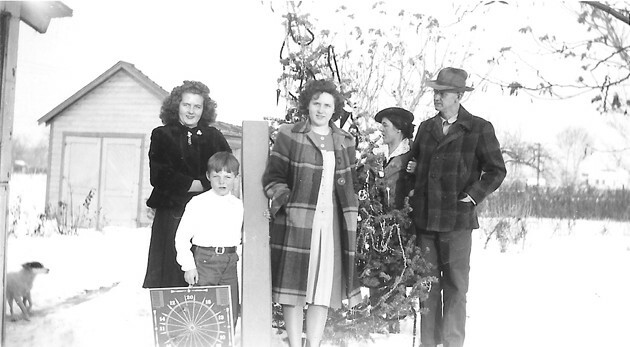 Jay found work in construction while Vera cared for Barbara and Johanna. She also sought opportunities to teach, which she loved. 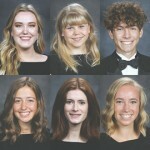 After earning a teaching certificate from Brigham Young University, she gained several years of experience teaching in Ferron, Molen and Wellington — even serving as a principal in Price. Vera also found plenty of opportunities to teach in Tooele. 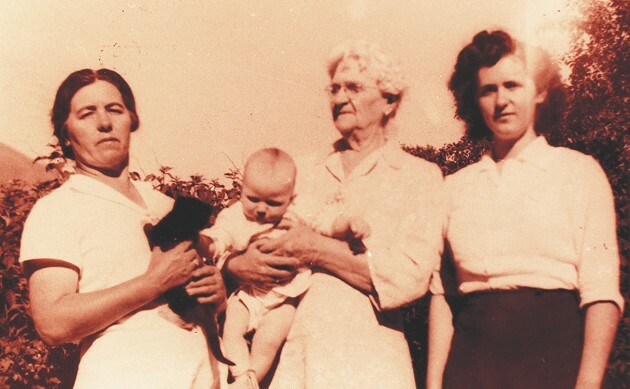 Hundreds of immigrant families had moved to Tooele to work in the smelter, and Vera saw a need to help people get their U.S. citizenship. “Grandpa wouldn’t let her work, so what she did was help people get their citizenship. She helped a lot of the Greek people that lived in ‘New Town’,” Stone said. New Town is located on the east side of Tooele. Vera wasn’t the only one to make a lasting mark on the community. In his job, Jay built numerous houses and church buildings. 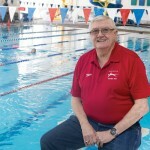 In 1940, he served as the foreman for the construction of Tooele’s old City Hall. Three years later, he helped build Tooele Army Depot. 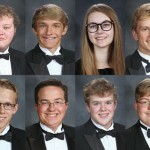 “He [Grandpa] did a lot of construction around Tooele,” Stone said. In addition, Jay served as a member of the American Legion. He played the trumpet and the bugle, so he was called upon to play taps at a lot of local funerals. 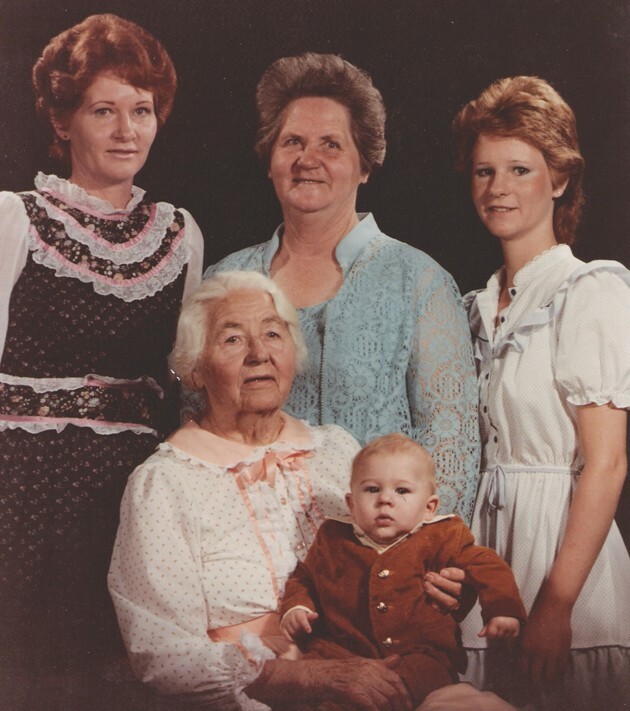 The Hansens’ next children, Lorraine and Joe, were born in 1928 and 1936, respectively. On Sept. 5, 1952, the American Legion post at Tooele honored Jay for his many years of service. In 1955, Jay was honored again when Post Commander Everett DeLaMare presented Jay with a meritorious service certificate. Jay’s mother passed away in 1956. Three years later, Barbara moved back into the house temporarily with her children — one of whom was Stone. Stone has many fond memories of living with, and then nearby, her grandparents. She remembered how her grandmother religiously went out to exercise every morning. After Vera did chin-ups on the branch of one of her trees, she would practice singing — eliciting the same response from Jay every day. In 1959 — the same year Stone’s mother moved in with her parents — Jay got a new car. It was a 1956 pink Chrysler, and he was very proud of it. Years later, after Jay passed away, Vera learned to drive for the first time at age 80. She kept the pink Chrysler in the garage under blankets and tarps. Ever the handyman, Jay made cedar chests for his granddaughters. When he got tired of having chickens, he tore down the coop and built a garage in its place. He also handcrafted inlaid wood tables made from scraps. Each inlaid table has between 800 and 1,000 individual pieces. Jay passed away on Sept. 2, 1971, after an illness related to heart problems. 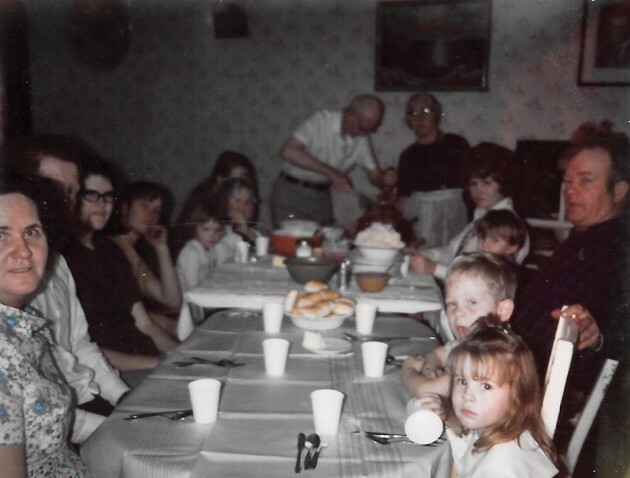 Vera took over his role as head of the family. 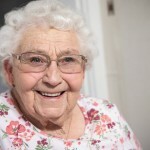 She lived to be 100 years old and had many adventures, including learning to drive and riding on a motorcycle and snowmobiles. Once when she was in her 80s, she even climbed onto the roof after a windstorm. She was trying to keep the branch of a fallen tree from damaging the roof. Jay and Vera weathered many challenges during their lifetimes. When the U.S. joined World War I in April 1917, 23-year-old Jay joined the U.S. Marine Corps and was sent to war. About the same time, Vera was living in Ferron. 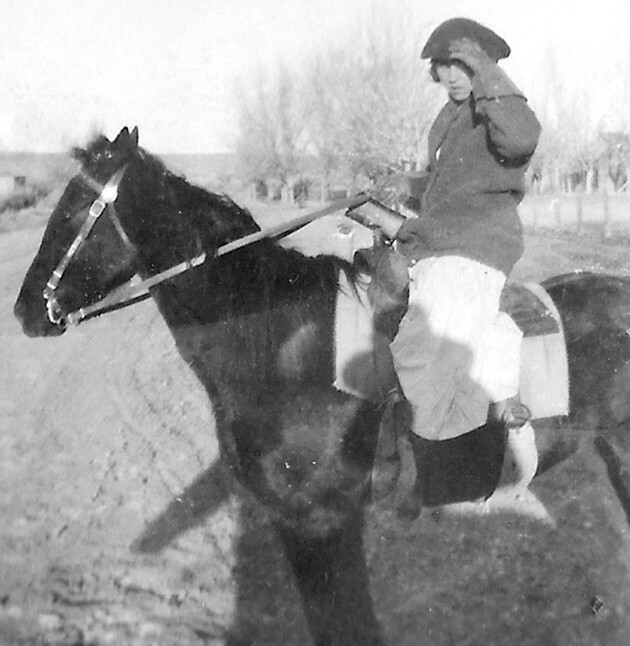 She rode her horse approximately 3 ½ miles to Molen every day so she could teach school. The following year, the influenza virus spread across the globe, killing at least 50 million people worldwide. According to the Deseret News, the first cases of influenza were reported in Utah in October 1918, and the outbreak lasted until the spring of 1920. In total, more than 91,000 Utahns became sick with influenza and 2,915 died. The school at Molen where Vera worked was wiped out, Stone said. Despite the seriousness of world events happening around them, Vera and Jay found ways to spread joy to others. Vera sang in the Tabernacle Choir at Temple Square — then known as the Mormon Tabernacle Choir — during the summers of 1918 and 1919. 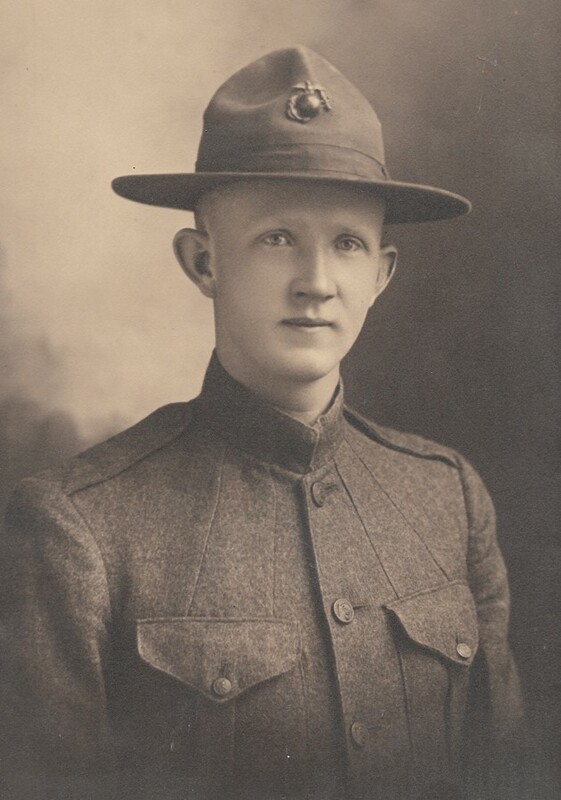 Jay returned home after the armistice in November 1918 and joined the American Legion, with which he would serve for the next 30-plus years. He also played the trumpet for a band in Price. On July 5, 1921, Jay and Vera were married in Price. Their marriage was later solemnized in the Salt Lake Temple. 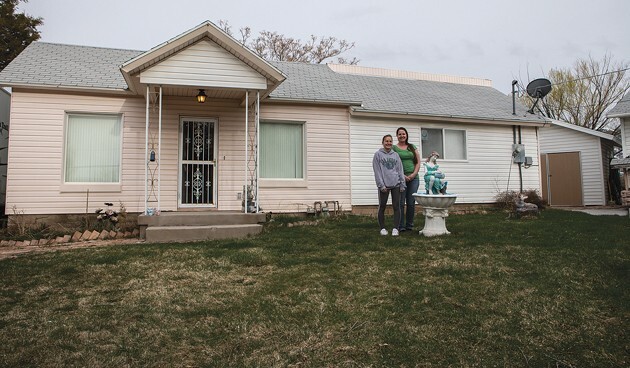 The couple had lived in their new home in Tooele for a mere two-and-a-half years when the stock market crashed in October 1929. “During the [Great] Depression they had to refinance it [their house] because they almost lost it,” Stone said. 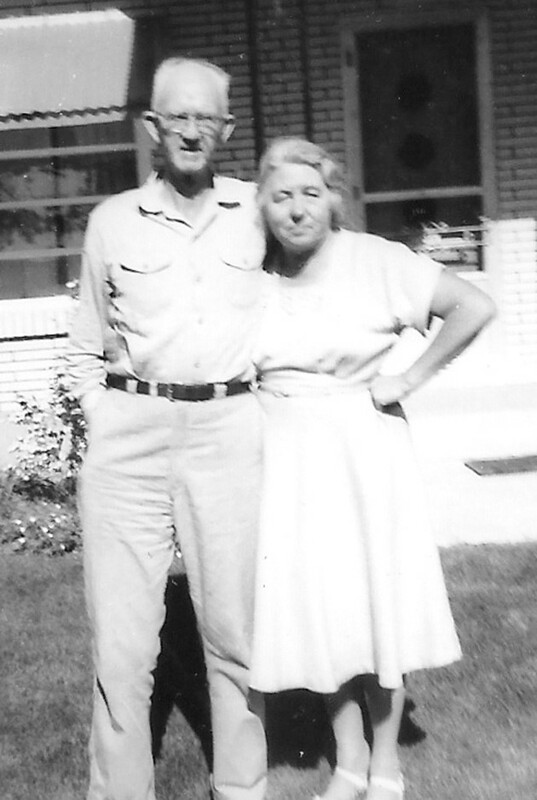 In addition to Jay’s construction job, Jay and Vera worked their land. There were goats to milk, eggs to collect, and hay bales to gather. Stone bought the house from Vera in 1998, the same year Vera celebrated her 100th birthday in the Tooele Valley Nursing Home. Vera passed away later that year. In 2011, Stone’s granddaughter Faith and Faith’s son Konner moved in with her. The following year, Stone sold the house to her daughter Shannon. Now, after 92 years, the house will be sold outside the family. “The family will surely miss the old place,” Stone said.